The LIVE recordings contain the teachings and energies that allow you to receive the Vibrational Alignment for the first time, and re-listen to receive what is shared on a deeper level. "What can I expect to receive?" As a student of A Course in Miracles, The Truth that “Only Love is Real” is the foundation of what is shared in Omaji’s Sessions and Recordings. 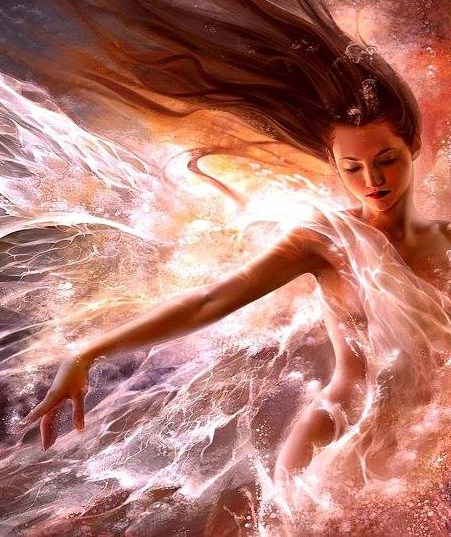 She works in collaboration with Enlightened Beings who refer to themselves and The Council of Light, comprised of various Ascended Masters and Benevolent Galactic Light Beings who embody Divine Wisdom, Divine Love, Divine Truth. During a session an energetic bridge is built (from illusion to Truth) and you are invited to cross it (step by step) through a series of Choices/Questions. At the completion of a session (Live or recorded) there is a greater sense of Peace- distortions/interference that was once vibrating in your field has been harmonized and returned to Love. Click Here to visit the online store and view all of the available recordings and downloads. Are you ready Choose Complete Transformation? What if you could actually Welcome a State of Peace and Harmony? Receive 6 Full Sessions of Vibrational Alignment, Attunements and Activations to unlock your Infinite Potential and align you with your Highest Potential Soul Path! Are you ready to KNOW Freedom and Harmony in all areas of your your life? Will you Choose to go beyond the illusion of lack? Allow The Divine to assist you in TRANSFORMING YOUR RELATIONSHIP WITH ABUNDANCE in TWO POWERFUL SESSIONS. It is time to be in the FREEDOM of you. More Downloads Available - Click Here to visit the online store and view all of the available recordings and downloads. Are you ready to claim Greater FREEDOM and EXPAND into a True perception of you? These sessions are F R E E so that all who would benefit are able to RECEIVE. If you feel guided to contribute financially as an Expression of Appreciation, you can use the 'donate' button below. Your generosity makes it easier to continue offering these complimentary sessions. Will you RECEIVE the Remembering you've been asking for? - If you are READY for an incredible ACCELERATION in your Expansion and FREEDOM... THIS is for You! Are you Ready to Go Deeper and EXPAND BEYOND? These Intensives are now available for those who are Ready and Willing to Expand and Align with the focused intention of Remembering What you ARE and Living the LIFE you were born to ENJOY. Your contribution is appreciated; Please share as you are guided from Oneness and Gratitude.